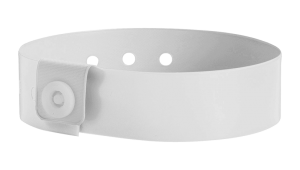 Complete with one-time locking strap for extra security. Extra-fast turnaround time. Need vinyl event wristbands delivered fast? myZone Canada’s plain vinyl wristbands are already in stock and can be shipped from our facility in 1 business day to anywhere in Canada! Our plain vinyl event wristbands are made from three-layer vinyl, resulting in extra-durable, comfortable bands that are perfect for long-term wear (10+ days). 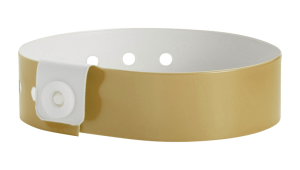 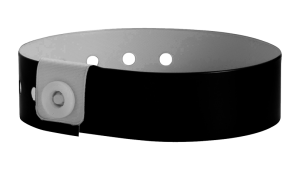 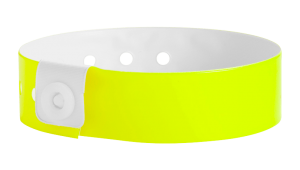 Available with 3 and 5 removable stubs or cash tags, all plain vinyl wristbands are waterproof and stretch-resistant and come complete with a one-time locking snap and removable stubs for security. Interested in customizing your Vinyl bands? 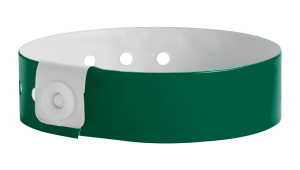 Why not take a look at our custom vinyl wristbands!